In 2017, catastrophic weather events, including Hurricanes Irma and Maria, devastated electric systems throughout the U.S. Puerto Rico, and the Caribbean. In Jamaica, unprecedented torrential rainfall, massive flooding, and landslides battered Jamaica’ s Montego Bay area, severely impacting 10 of the country’s 14 parishes, with Clarendon hit the worst. 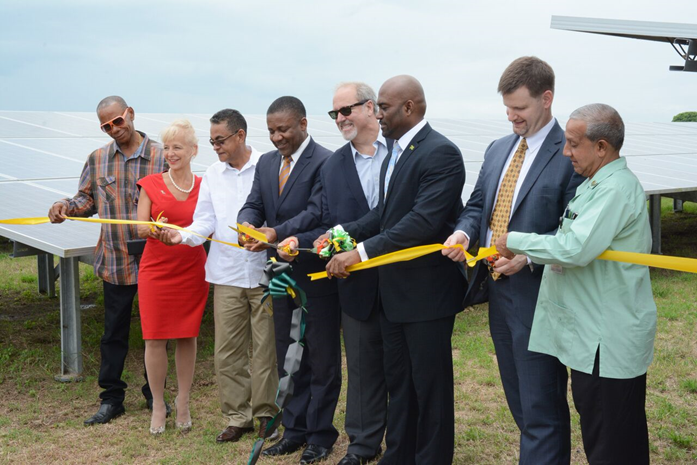 Clarendon is the site of Content Solar, Jamaica’s first utility-scale solar PV plant. However, the renewable energy site, developed by renewable energy veteran WRB Energy, was unaffected by the severe weather conditions that inundated the greater May Pen area with 17 feet of flood water and severely damaged bridges, roads and communities over a four-day period in May 2017.